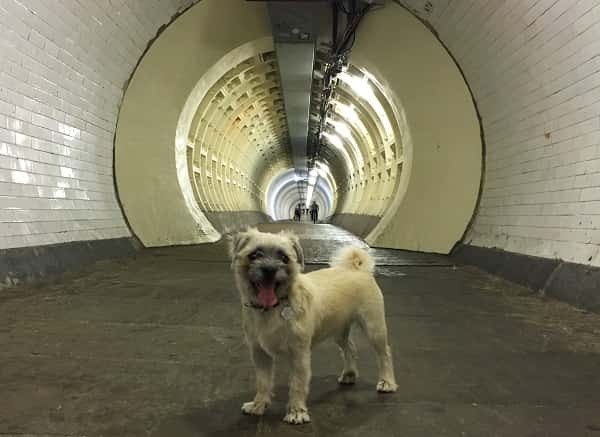 Last week I was in Island Gardens and today I'm inside the Greenwich Foot Tuunel (all dogs should be kept on leads, don't tell anyone). They started building this tunnel in June 1899, and it was finished and opened on 4th August 1902. Last week I was inside the Greenwich Foot Tunnel and today I'm in Millwall Park. 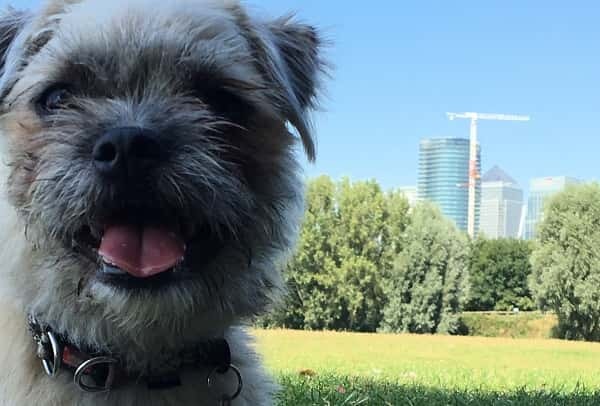 Millwall Park is just across the road from Island Gardens on the Isle of Dogs and is home to, well... lots of grass... but lots of other things too. Tenants’ Fees Bill – What does it mean? Yesterday the Government published The Tenants’ Fees Bill, the long-awaited paper resultant from the consultation period on what, if any, tenant fees are acceptable to charge. It’s still very much early days as the Bill will now be debated in parliament and its proposals could change. If you’re not scared of long, wordy documents you can read it in full here. There’s very little ‘fact’ in the document, and its perhaps best looked at as a legal framework into which the final rules and regulations will sit. Today, I am in Island Gardens on the Isle of Dogs. I like parks, especially this one. It was first opened on 3 August 1895. Some of you might remember that Island Gardens DLR station used to be here in the park, but when they extended the line under the Thames to go to Lewisham in 1999 they built a new station across the road in Millwall Park. Now that the station isn't here there's more room for dogs like me, and people like you. Island Gardens is also home to the northern entrance of the Greenwich Foot Tunnel. That was opened in 1902, and it was built to make it easier for the people who lived in south London to get to work in the docks. Next door to the foot tunnel there's a little shop that sells sweets and cakes and ice creams, but the best thing about it is that there's always a water bowl for dogs. No, really. Island Gardens Cafe is also here and they serve tea and coffee and sandwiches like lots of cafes, but they also serve Caribbean food like jerk chicken, curry goat and roti. 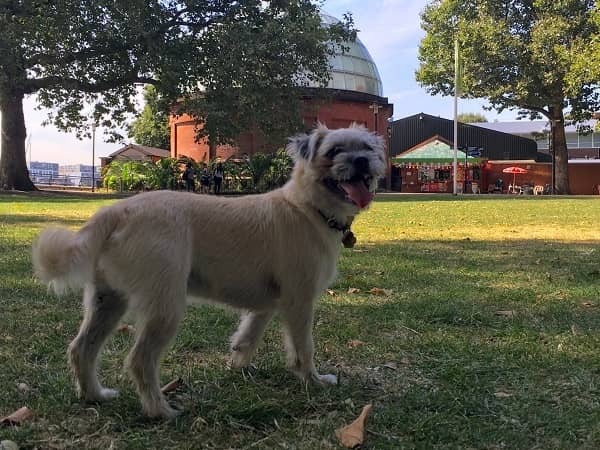 So, you can get here easily, there's stuff to eat and drink in Island Gardens, you can sit down and relax and watch the boats on the Thames, you can play ball, and you can walk to Greenwich under the Thames, where there's an even bigger park. Hi, my name is Frank and I'm a proper local dog. As a proper local, I'm going to show you around E14. I'm going to be writing stuff every week. I'm out and about quite a lot. 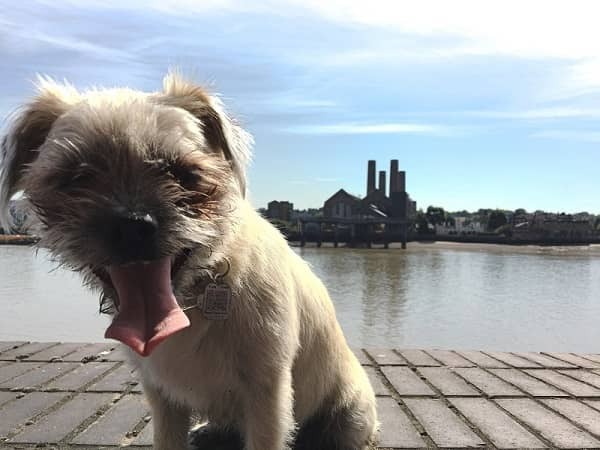 When people talk about E14 they often think 'Canary Wharf', and they don't think about the Isle of Dogs, or Limehouse or Poplar, or Leamouth or Blackwall. Today I'm on the Isle of Dogs (of course), on my way down to Island Gardens. Over my shoulder you can see the Thames, and on the other side is a power station in Greenwich. I do know that Greenwich is in SE10, not E14, but lots of people wonder if its a working power station. Well it is, sort of. Greenwich power station is a back up supply for Transport for London. If we have a power cut on the National Grid, the power station will start working so we can still use the tube. But, the power station might have a different future; you can read about TFL's plan here. So, nice speaking to you. Is this the future of renting?